Steve's FZD Nuggets Beef Diet for Dogs - 20oz [ST-91730-16401-0] - HKD380 : PetPetMaMa , The Best Products for our pets! Boost your dog's diet without the hassle of feeding raw with Steve's Real Food Freeze-Dried Diets. 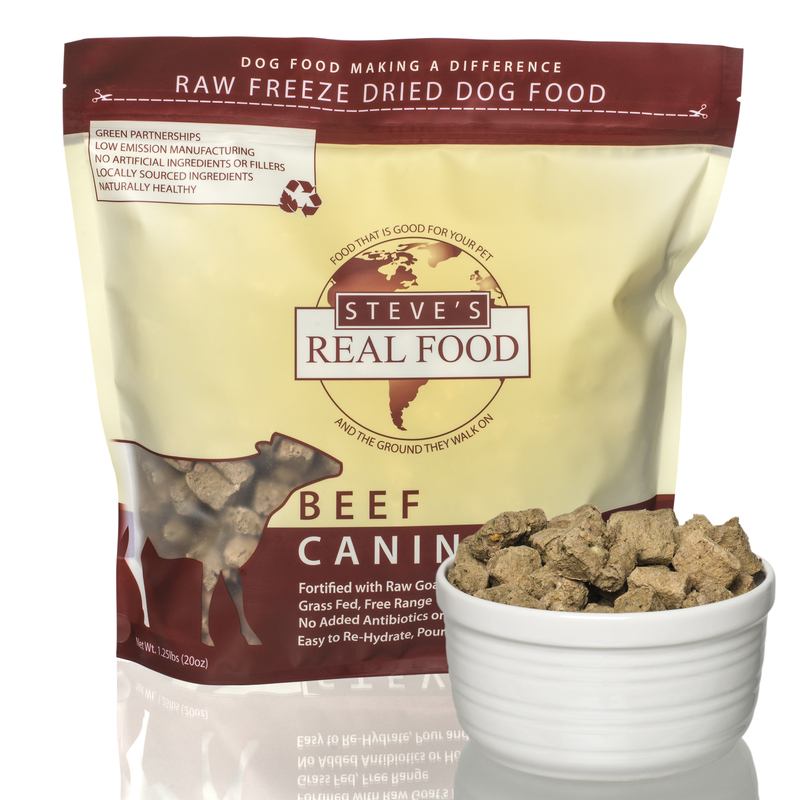 Steve's Real Food Freeze-Dried diets make raw feeding easy, convenient and affordable. Plus, your pup gets a tasty meal with unparalleled benefits! Freeze-dried nuggets can be used as a complete & balanced meal or as a kibble topper. Featuring raw, freeze-dried meats as the first two ingredients in each formula, these diets are full of protein. Kelp, Coconut Oil and a variety of other natural superfoods add a wealth of vitamins, nutrients and enzymes. Following biologically appropriate raw food models, these diets use an 80:20 ratio of meat-to-produce, ensuring they are nutritionally balanced and easy to digest.